Tucked away in South East Asia is our beautiful island home that is Bali. As part of the Indonesian Archipelago, it’s the most popular destination in this region for tourists to stay, rest and play. One of the biggest reasons people travel to this island - beyond the beach holidays - is for yoga enthusiasts to complete a 200 hour yoga teacher training Bali. This is the first level of yoga teacher certification, often described as a level 1 200hr yoga teacher training Bali. As Bali has been known for decades to be a haven for health, wellness and healing, it’s not only the vibrant local culture that draws people in, but the spreading offerings of yoga classes, courses, retreats and trainings that are here all over the island. It’s become a hub for spiritual seekers to drop into the slow and supportive pace of life that the Balinese natural exude, while being surrounded by the devotional energy of the local culture in the daily life. Surrounded by lush jungle in the middle of the island is Ubud, which is the center point of all the 200 hour yoga teacher training Bali experiences. Yoga has been practiced on this island before the many Western practitioners brought the physical practice of yoga asana to Bali, and there’s an interesting history to Indonesian yoga that most people don’t know about. So now, it’s a place for people to train to teach, or simply deepen their practice, through a 200 hour yoga teacher training. One of the most common training styles that is offered on the island is the vinyasa yoga teacher training style. At Radiantly Alive, we offer our level 1 and level 2 yoga teacher certification Bali as part of our very own RA Vinyasa style. 200 hour yoga teacher training Bali offerings are many and varied. The 200 hour formats are the most common, as this is where practitioners start on their journey to taking an intensive course, and become certified as a teacher. Some schools require you to have a specific amount experience in yoga, or their particular style of yoga, before you can register to train. There’s Ashtanga, Vinyasa, Yin, Hatha and almost everything in between being offered as trainings here in Bali. As mentioed, some trainings will want you to have practiced for a few years, or some trainings - like ours - accept all levels of experience. Once a 200 hour yoga teacher training Bali has been completed, then the practitioner can go on to take a 300 hour yoga teacher training Bali, or go anywhere else in the world for this. The 300 hour training is the level 2 course, which again can be completed in any style. Most schools offer these trainings to anyone who has already completed a level 1 course, regardless of where they first did their level 1 training. So, if you have completed a 200 hour training with another school, and wish to do your 300 hour training with Radiantly Alive, for example, then you would be free to sign up and join us. The general format for a 200 hour teacher training Bali is the intensive style one-month experience. This ranges from 20-30 days, depending on the amount of hours per day, days off per week etc. The entire 200 hours which are needed for certification can be done as contact (in-person training) with some non-contact (assignments, pre- and post requisite actions) hours. Generally, the non-contact hours for teacher trainings are much less (often 10-5) for 200-hour training. The one-month option is a desirable format as people who take time away from their busy lives and obligations can complete their training and become fully certified in just one month, which means they don’t have to come back to continue completing certain modules for a long time. Though in our experience, we’ve found that once you come to Ubud, Bali, you keep coming back. People rarely ever come to this island just once! There would also be additional evening sessions and excursions in most trainings. Many of the 200 hour yoga teacher training Bali courses take advantage of this beautiful island rich with ancient culture and ritual, and offer ceremonies and excursions as part of the training experience. At Radiantly Alive, we always plan some exciting surprises which we offer to our trainees. If you’ve already decided that you want to be in Bali for your teacher training, then that’s great to have some certainty about where you want to go. Now comes the point of deciding on which training to do. There’s some general aspects of the experience that people will take into consideration when choosing their YTT 200 Bali. 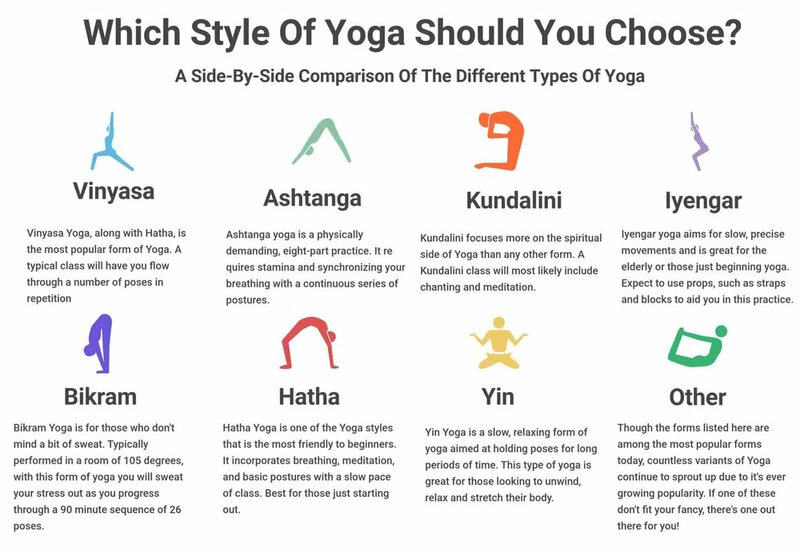 People who look to do a training most commonly have been practicing yoga for some time, which means there will be a style or many styles that are familiar to them. Some may know that they wish to focus on Ashtanga as their main practice, and will search for Ashtanga 200 hour yoga teacher training Bali courses. Others may have tried Hatha and Vinyasa yoga, and feel pulled between both. When you think about which style you wish to focus on, it’s good to remember that you can always go and train in another style, another time! You don’t have to pick one for the rest of your life. The advice here is to take different classes with different teachers in the styles you may be still considering, to get a feel of all the ways it can be practiced and taught. Many people who come to Radiantly Alive and experience our flavor of RA Vinyasa have found that it concreted their decision to do a Vinyasa training, and also brought them to join our 200 hour yoga teacher certification Bali in our unique Vinyasa style. This is, of course, always an important consideration, and may even be the biggest deciding factor. Yoga teacher trainings can cost anywhere between $1000 USD to $7000 USD. Location and facilities: Some countries will offer more basic facilities - like ashram style, or have less faculty teachers - India, for example, has many cheap training options with basic living and training standards. Residential vs. Non-residential: Explained also below, residential trainings include accommodation and often food, which of course will make the price higher. Exclusivity: If the training is with a well known teacher or yoga school, the price may be higher due to the demand that the trainings have. Quality: Even with the above points in mind, it can really be a marker of the quality of teaching, content, and experience. Even though more cheap trainings can be tempting, be sure to do your research first to get a sense of what the experience is like as a whole. There have been many people who have taken a lower quality training because they saved some money, and felt less than confident to go out and start teaching with the very basic instruction they received. For some people, taking a full month off will be too much for their work, responsibilities, etc. This is where the amount of days the training is can factor into the decision. Though the training schedule will be more rigorous for a shorter length training (around 20 days could mean 10 hour days), this option may be more suitable to some. To others who have no time restrictions, a longer 30 day or more training is more preferable. Teacher training is a deeply immersive experience. Not only are we immersing ourselves into the environment and group we are with for training, but also the greater environment of the culture and way of life of the place we are in. Many people will prefer to travel to an exotic location for their training in order to really get space from their everyday life and routine, and take the chance to experience the gifts of rich culture and tradition during training. Bali trainings aren’t all done in Ubud, there are also trainings closer to the ocean down South of the island, so people looking to have that coastal vibe. This often leads people to travelling to the country some time before, or staying later than the training in order to soak it up and adventure in that place. For example, we usually have many trainees arriving on the island before our 200 hour teacher training Bali to take classes, explore the amazing food offerings in Ubud, and to get accustomed to the culture. This is why we offer our trainees to come to class for free the week leading up to the training, and after. If you’d like to save yourself the energy of finding your own accommodation close to the training location, and organising food, then the residential trainings will appeal to you more. Some will actually like to save the costs and do their own thing, especially if getting space from the intensive environment at the end of each day is what they know they would need. There’s a a mix of residential and non-residential options for all of the offerings of 200 hour yoga teacher training Bali. Know that ultimately, there may be multiple trainings that feel good to you, so it’s about taking into consideration the above points and what suits you most at this stage of your life. When making that decision, it can be very helpful to seek testimonials and reviews from people who have taken part in these trainings before. Often you will find those on the yoga school websites. We always include video clips and words from past trainees who have expressed what the experience was like for them. Once you’ve done your thinking and weighed up the options, also remember that beyond the mind, the body may have an answer. Sit, breathe, feel into your choice, and notice what feels good and exciting to you… this will show you that you’re on the right track. Trust that you already know.